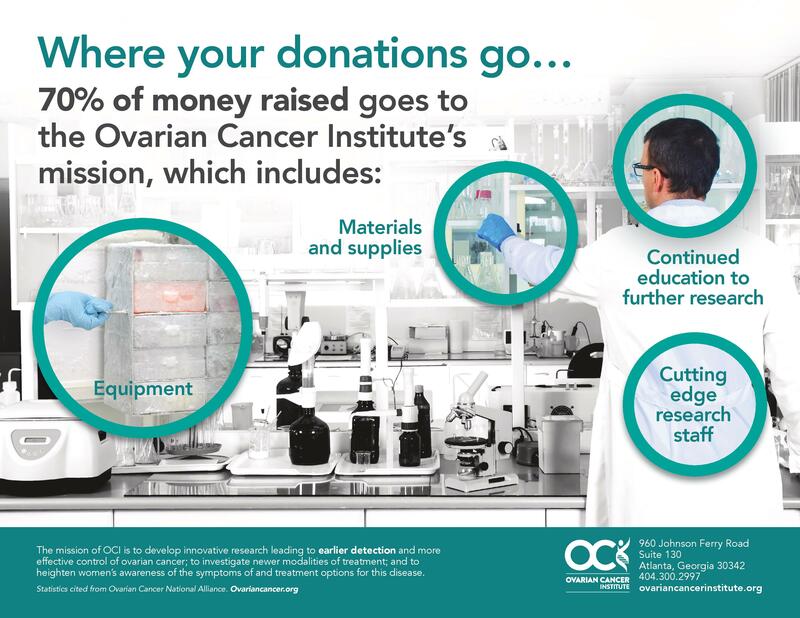 The Ovarian Cancer Institute depends upon contributions from our supporters to fund our Remarkable Research. 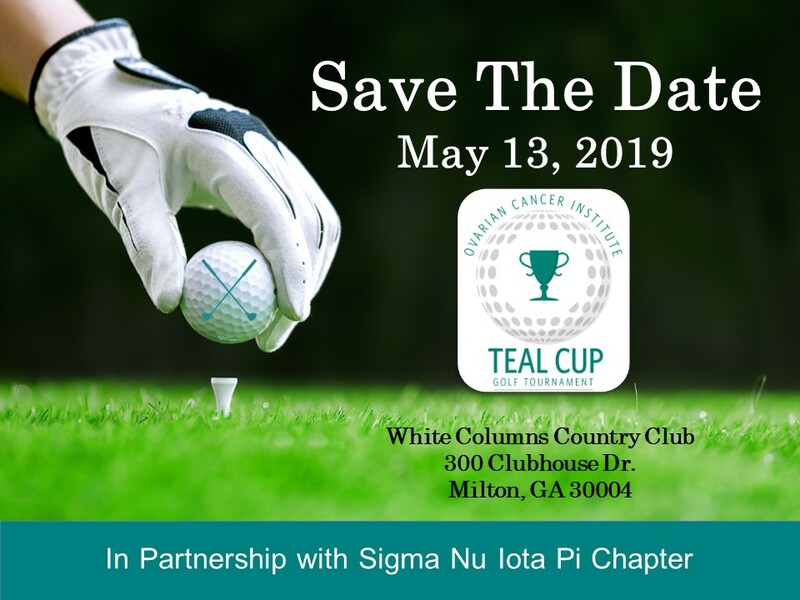 Promote awareness and take an active role by fundraising and donating to the Ovarian Cancer Institute. Choose from the options below to get started! OCI is a 501(c)3 organization. Your donation is tax-deductible to the fullest extent of the law. OCI’s Tax ID number is 58-2445245. Accept donations in lieu of flowers while personalizing the memory of your loved one with a custom online page. Turn loss into love and inspire others. Host your next birthday, book club or dinner party as a fundraiser. Get creative and do your thing, just do it for a cause. Yes! Ovarian Cancer Institute may contact me at the email address above. Would you like to notify that person or someone of your donation? Your donation will be processed from your credit card or Paypal account each month. 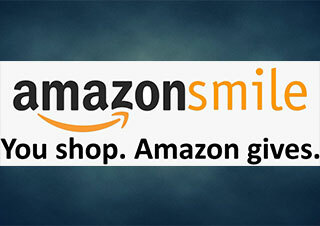 You may change or cancel your monthly gift at any time. Many employers will match their employee’s donation to nonprofit organizations, helping to increase the impact of your contribution. Be sure to check with your Human Resources department about employee gift matching. If a completed form is required, please mail it to the address above. 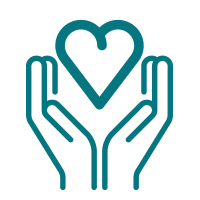 Many who have been touched by ovarian cancer choose OCI as the recipient of a charitable bequest in order to continue their legacy of supporting progress in the fight against the disease. An estate planner can help make sure your bequest is accurately indicated. Several events throughout the year benefit OCI, whether hosted by OCI directly or by other individuals or organizations. Click here for our calendar of events, or contact us to inquire about sponsorship opportunities. Whether you’ve been touched by ovarian cancer as a patient, survivor, or family member, you‘ll find many people eager to know how than can best support and honor you. Celebrating a wedding, birthday, anniversary, or treatment-related milestone can be a perfect opportunity to let your network know that a donation to the Ovarian Cancer Institute is a great way to honor you. Letting others know about the ways you contribute is also a fantastic way to keep them aware of the cause. Spread the word about OCI’s latest news. Invite friends to join you at our events. Include a note in your holiday card that you’ve donated to OCI in honor of another year committed to the fight. Sharing the cause is a great way to give to OCI. If you’re interested in volunteering with the Ovarian Cancer Institute, please contact us. Support OCI by staying informed about our organization. 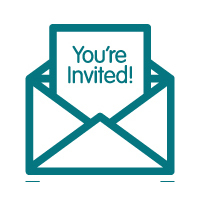 Click here to join our contact list and receive periodic updates from OCI. We will not spam or share your information with third parties.